After a century of artists bucking tradition and pushing art into more abstract and cerebral realms, realism as an art form is back, making a steady return to the ranks of not only accepted but highly sought-after genres. Nowhere is this more apparent than at the growing annual juried show of the International Guild of Realism. Opening on Saturday, October 5, the show takes place at the Tempe Center for the Arts. It features 107 paintings by 93 guild members from seven different countries, including Belgium, Iceland, China, and Canada. “We have an amazing array of realism,” says Don Clapper, a founding member of the guild. “We have a loose definition of realism, from works closer to impressionism all the way up to trompe l’oeil and photorealism.” This year’s participating artists are sure to impress, including Duffy Sheridan, Lee Alban, Ed Copley, Aaron Brent Harker, Randy Ford, Camille Engel, and Craig Srebnik. 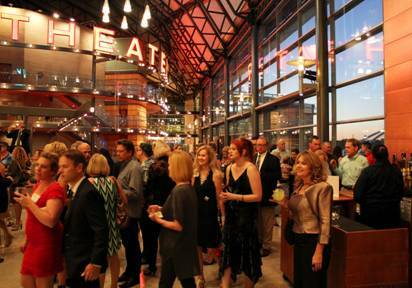 A ticketed VIP opening party and awards ceremony kicks off show events on Friday night, October 4. The show then opens to the public on October 5 with a public artists’ reception that evening. “Every show has gotten bigger and better,” Clapper says. “Now we’re really focusing on making the opening a three-day weekend of fun activities,” which includes seminars for artists and painting demonstrations.